Alcorn State claimed its third SWAC title in five years and will face North Carolina A&T in a Celebration Bowl rematch. The SWAC championship trophy is heading back to Lorman, Mississippi. Alcorn State held off a fierce challenge from Southern, utilizing its home-field advantage and getting a 37-28 win to claim the SWAC title. The win means Alcorn State will meet MEAC Champion North Carolina A&T in the fourth-annual Celebration Bowl. This will be a rematch of the inaugural Celebration Bowl in which A&T defeated Alcorn State 41-35 in the Georgia Dome in 2015. 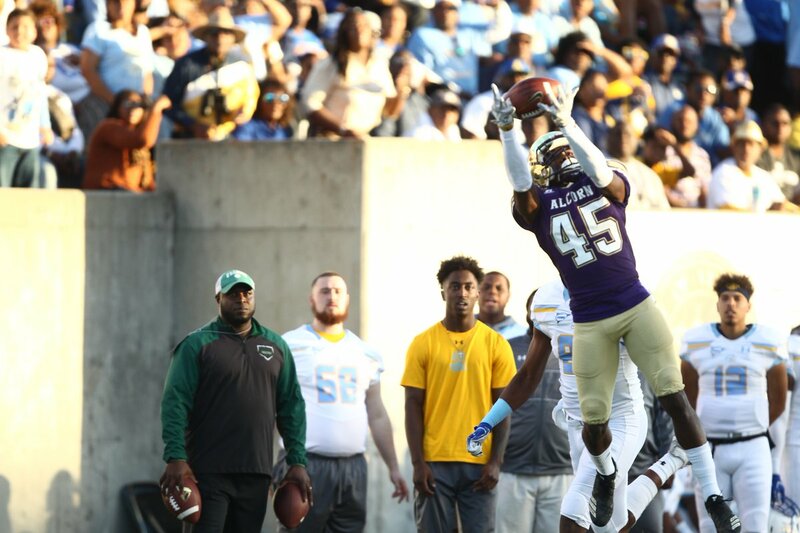 Noah Johnson and De’Shawn Waller led the way for Alcorn State, as it broke a two-game losing streak in the title matchup. Waller was brilliant, rushing for three scores and 163 yards. Johnson ran for two touchdowns and moved the ball effectively through the air. Southern briefly led 28-27 heading into the fourth quarter, but a 41 yard field goal by Corey McCollough helped ASU regain the lead 30-28. Waller’s third touchdown run, a 14-yard run, capped a nine-play, 68-yard drive and effectively sealed the game for ASU. LaDarius Skelton carried the load for Southern, scoring three touchdowns on the ground and tossing one in the air to try to get his team a title. The 2018 SWAC title marks the third in five years for Alcorn State and the first under Fred McNair.